Losing weight is easy. Just eat fewer calories than your body burns. Every day. For months. OK, so that's not really so easy, is it? There are many diets that promise radical results but demand radical lifestyle changes. Most of them do more harm than good. The 1,200 calorie diet is a different approach to weight loss. There are no magic potions to drink and no fasting or cleansing. You manage your eating, but to a level that is comfortable and sustainable. Guess what? You can actually lose weight and keep it off! Weight loss happens when calories in (eaten) is less than calories out (used by your body). To lose one pound, this imbalance must add up to 3,500 calories. Ouch! So a natural tendency of new dieters is to eat as little as possible and work out like crazy. Although this seems logical, it is not really the best path to weight loss. Instead, most medical authorities agree that eating a balanced diet of about 1,200 calories a day combined with moderate exercise is the best way to lose weight. Starvation diets don't work, long term. When your calorie intake drops precipitously, your body determines that you are starving, and hangs onto every calorie as though it is your last. Food is converted into fat cells and your base metabolism (the energy your burn just sitting still or sleeping) drops substantially. In addition, it is impossible to get the necessary nourishment into a starvation diet, so you are withholding critical nutrients from your body, too. Add rigorous exercise and you have a recipe for disaster. That is why the 1,200 calorie diet has been endorsed by leading medical bodies, including the National Institutes of Health, the American Diabetes Association and the American Heart Association. With 1,200 calories, it is easy to supply all of the recommended nutrition that your body needs while avoiding putting your body into starvation syndrome. If you add some responsible exercise to the mix you should be able to lose one or two pounds a week. This the rate of weight loss that doctors recommend. Any more than that and you are probably hurting yourself. Breakfast: Slice of bread with jelly, shredded wheat cereal with milk, orange juice and coffee. Lunch: Roast beef sandwich with whole wheat bread and mayonnaise, apple and water. Dinner: Salmon prepared in vegetable oil, baked potato with margarine, green beans and carrots, dinner roll and iced tea. This menu provides a bit over 1,200 calories, with only a quarter of the calories from fat. This is considered a very healthy meal plan, and one that you can live with long term. Since you aren't starving yourself, there's no reason to give up the diet once you have reached your goal weight. Instead, you can just bump up the calories a bit to give you some room to splurge and maintain your weight while you eat a healthy, balanced diet. What's not to like? Don't try to diet alone. Having a diet buddy can be a great source of encouragement and support. If you don't have a friend who is interested in dieting with you right now, go over to WannaBuddy.com and find diet buddy near you! Have you tried the 1,200 calorie diet? Click on the Comment button and let us know how it worked for you! People rarely think about their gall bladder. In fact, most people don't know where their gall bladder is located or what it does. But remember the phrase "You don't appreciate what you have until it's gone"? Losing your gall bladder can have serious effects on your health so a little love for the gall bladder goes a long way. The gall bladder is a small pouch or sack that is between the liver and the intestines. It stores the bile that the liver secretes until it is needed by the intestines. Bile helps the intestines break down and digest fats. Why do people think about the gall bladder at all? It turns out the sudden weight swings, the yo-yo effect that many diets produce, can damage the gall bladder by stimulating the creation of gall stones. Gall stones are actually crystals formed by the combination of cholesterol and bile salts. These stones can cause abdominal pain, nausea and bloating. The only true treatment for gall stones is the removal of the gall bladder. Your diet can help prevent these complications. Eating a balanced diet, especially one low in cholesterol and high in fiber, can help. You should eat plenty of fresh fruits and vegetables, low-fat milk and other dairy, lean meats, beans and lentils, and whole grains. Some research has shown beneficial effects from consuming caffeine, alcohol and peanuts. It also helps to be male, as they are half as likely to develop gall stones as females. Avoiding high fat foods and foods containing a lot of simple sugars can help, too. These dietary choices and stable body weight can help your gall bladder remain in the pink of health, but nothing can reverse gall stones once they are formed. 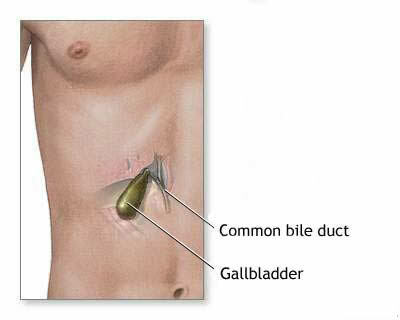 If the gall stones form and create discomfort, removing the gall bladder is the only treatment. It is possible to live a healthy and happy life without a gall bladder, but the bile from the liver flows immediately into the intestines, leading to some digestive issues and the occasional diarrhea. The healthy diet that inhibits the formation of gall stones is also good for the rest of your body. Responsible eating and a good exercise program will pay dividends across a wide range of areas. Do it for your gall bladder! Not your typical "lose 30 pounds in 30 days" kind of diet, the Candida diet addresses a very specific issue: yeast infections. Yeast, the tiny organism that makes possible everything from bread to wine, can be a plague to some people. The Candida diet (named after a common strain of yeast) is one way to find relief. Yeast microorganisms are everywhere. 80% of humans live with yeast cells living in their bodies. In most cases, these yeast cells are benign and cause no ill effects. In rare cases, the yeast cells are not kept in check by other microorganisms and the body's immune system. This can cause a broad range of problems ranging from mildly irritating to severe, such as oral and vaginal yeast infections, conjunctivitis, canker sores, bladder infections and colitis. The Candida diet is a three step program to eliminate (or at least suppress) the yeast population and rebuild the body's defense mechanisms so that repopulation does not occur. Once the program is complete, a life-long adherence to a controlled diet is recommended to prevent reoccurrence of infection. Step one is a full frontal attack on the yeast infestation. Some people start with a "cleanse" phase, involving an all liquid diet and laxatives to complete empty the digestive system. Following this optional phase, a diet of raw and/or steamed vegetables and plenty of liquids is followed for up to 14 days. Step two reintroduces many foods back into your diet. This four week period brings back proteins (beef, chicken, fish, eggs), nuts and non-glutinous grains such as quinoa, millet, and wild and brown rice. The diet forbids coffee, chocolate, sugar and honey, breads, dried fruits and alcohol. This can be a deal-breaker for many people. Some people practice this diet for 15 days, then cleanse for 5 days, then back to the step two diet for an additional 15 days. The goal of step three is to build up a population of probiotics, bacteria that live in the intestines and play a role in controlling the growth of yeast cells. Probiotic bacteria are found in yogurt, miso, cottage cheese, tofu, kefir, sauerkraut and pickles. Adding these foods to the step two diet reasserts the levels of probiotics before the yeast population can be reestablished. After 30 days in step three, you have completed the Candida diet regimen and are ready for maintenance. The Candida diet maintenance program is an ongoing lifestyle diet that maximizes foods with "good" microorganisms and restricts intake of foods that contain yeast or stimulate existing yeast populations. That means eating a lot of vegetables, proteins, dairy and non-glutenous grains while avoiding simple carbs (sugars, chocolate and honey), coffee, breads and alcohol. For people with compromised immune systems or a predilection for runaway yeast growth, the Candida diet can mean a return to normal living. Not for everyone, certainly, but for those fighting yeast-based medical conditions, this can be well worth it. Have you tried the Candida diet? Click on the Comment button and let us know how it worked for you. When movie stars need to transform their appearance they usually depend on computer graphics. That can make them age backwards, become eight feet tall and bright blue, or resemble the Hulk. But when Ryan Reynolds transitioned from boyish charm to all-grown-up hunk, he bulked up his muscles and cut his fat to the bone the old fashioned way. To get ready for his new role quickly, Ryan Reynolds combined intense workouts with a focused diet. The results were nothing short of amazing. From college slacker to vampire slayer in less than six months. Ryan ate almost constantly, with a small (tiny might be more accurate) meal every two or three hours. In addition to gallons of water, he ate a high protein, low fat diet. Breakfast was usually eggs and steel cut oats and a bit of fruit. A few hours later he ate a protein bar to carry him to lunch. For lunch he kept to a salad and chicken or tuna. His mid-afternoon snack was another protein bar or a protein shake. Dinner was fish or chicken again with a salad or veggie. A few hours later he would have the final protein shake or bar of the day. To build muscle and definition, Ryan exercised two to three hours every day. Clearly, this is not practical for us normal folk, but movie stars aren’t normal folk. With America’s fascination with the six-pack abs, sit-ups and crunches were the start of most sessions. Then the “muscle group of the day” workout followed, with weight training and equipment localizing chest, back, shoulders, legs and arms. Given Ryan’s goal of looking good at all costs, cardio was not emphasized. Helping to build muscle were daily supplements of creatine, L-glutamine, whey protein and multivitamins. Ryan said that he built muscle much more quickly once he started taking the supplements. Is this the workout for you? If you have the time, the personal trainer and the deadline looming, this could be the one! What do you think? Click on the Comment button and let us know. Everyone could use a little Tender Loving Care. People with high cholesterol need some TLC, too. In those situations, TLC stands for Therapeutic Lifestyle Changes, and refers to an eating plan that claims to lower cholesterol by 10% to 20% without medication. It turns out that the TLC diet can help you lose weight, too. High levels of LDL cholesterol is a leading cause of coronary heart disease. The cholesterol can build up in the arteries feeding the heart muscles, with profound results. Part of the National Institutes of Health, called the National Cholesterol Education Program, created a diet that limits your intake of dietary cholesterol and boosts consumption of fiber. Although not designed as a weight loss program, the low-fat focus of the TLC diet can help with weight loss. The TLC diet restricts your consumption of diary (unless it is non-fat or low-fat), most meats, and pretty much anything that contains saturated fats. By using liquid vegetable oils (think canola, olive, peanut, and safflower oils) instead of saturated fats (lard, Crisco, butter) can help keep you below the 200 milligram daily cholesterol target. With the TLC diet, your carbs should come from complex carbohydrates, like vegetables, pasta and whole-wheat bread. Simple carbs, like foods made with processed sugar, are to be minimized. Protein, from very lean meat and low-fat dairy, should only be about 15% of your daily calorie budget. That comes out to about five ounces of meat per day. Consider substituting tofu or dry peas and beans for meat. Egg yolks are on the restricted list, too, so EggBeaters or egg whites are a good way to make your breakfast omelet. To further reduce your cholesterol, soluble fiber is recommended. Good sources of soluble fiber include oatmeal, pectin and bran. Maybe have a muffin with that egg white omelet? Be sure to use heart-healthy margarine to top off that muffin, though. There is solid science that says that this diet will lower your cholesterol and reduce the risk of heart disease and hardening of the arteries. Will it make you lose weight? Probably not by itself. The guidelines for the TLC diet are pretty sketchy about overall calorie intake. Unless your calorie intake is less than your calorie consumption, don’t expect this to help your weight. If you combine this diet with restricting your overall calories, though, you can look forward to a healthier heart and a trimmer silhouette! Let us know what you think! Click on the Comment button and leave us your opinion. Eat More, Weigh Less, Wait, What? Seeming to violate one the laws of physics, Dr. Dean Ornish has a diet plan that promises to reduce your weight while you eat more than you currently eat. Actually a combination of exercise and diet, this regimen has a growing army of true believers. The only catch? Say goodbye to meat. Dr. Ornish set out to create a meal plan to reverse heart disease. This was a controversial goal, in that accepted medical wisdom held that surgery was the only way to successfully treat heart disease. His diet of low fat, high fiber foods actually did help his heart patients. To their happy surprise, they also lost weight, an average of 25 pounds the first year. Fundamentally, the Ornish diet breaks foods into three groups: always, sometimes and never. The always group is made up of those foods that you can eat whenever you want, in any quantity you want. Wow. In this category are beans and legumes, fruits, grains and vegetables. The sometimes category contains foods that you can continue to eat, but in moderation. These foods include non-fat dairy, such as skim milk, egg whites, non-fat yogurt and sour cream and low-fat cheeses. The never category contains foods that you should never eat. These foods have substantial fat components and are the primary cause of the heart diseases that Dr. Ornish set out to cure. Among these never foods are meats (yes, all of them), nuts, oils and seeds, sugar and its derivatives, avocados and alcohol. Additionally, all processed foods that contain more than 2 grams of fat are forbidden. In addition, the Ornish prescribes (well, he is a doctor) a half hour of moderately intense exercise every day. This, plus mediation, yoga or therapy for stress management is the doctor’s path to wellness. The diet attacks a problem that is common to many diets, the dreaded plateau. Often with diets, you lose weight happily for a week or two, then your body adjusts to the new, lower calorie intake and your weight loss stops. Sometimes that plateau lasts a week; many times it lasts much longer. This plateau period is the end of many diet programs. The Ornish diet avoids the plateau by not reducing your calorie intake. In many cases, you actually eat more calories. The make-up of those calories changes, away from fat and toward fiber. You feel hungry more often, but you can eat all you want from the always food groups, so you don’t feel deprived. Since your body doesn’t face reduced calories, you don’t encounter the plateau. A steady progression of weight loss can be maintained. Is this the diet for you? How much to you like eating meat? That is a fundamental question for those considering the Ornish diet. If you are ready to take on vegetarianism, this could be a very good way to get healthy and lose some weight. Can’t give up the cheeseburger? Then move along, there’s nothing here for you. Has the Ornish diet changed your life? Click on the Comment button and tell us about it. Unless you have been living in a cave, you have seen commercials for both the Insanity Workout and the P90X Workout. Their claims are very similar as are their approaches. In both cases, the workouts take you to the edge of your capabilities. They both promise magnificent results if the program is completed (and enthusiasts post countless before-and-after photos as proof). But what are the differences, and which one should you choose? The P90X “Extreme Home Fitness” DVD set is comprised of 12 DVDs that feature workouts for every muscle group in your body. Created by Tony Horton, this package sells for about $140 including shipping and handling. Tony’s “secret sauce” is something that he calls muscle confusion, which is a technique for varying the workouts so that muscle groups don’t have a chance to optimize for a given exercise. He also includes printed materials for tracking progress, a dietary plan and online support. The workouts deliver a high-level cardio beat down and focused stress on muscle groups. The workout calendar tells you which exercises (and muscle groups) will be featured each day. On day seven of each week you get to skip the workout and recover. The Insanity Workout is delivered as a set of 10 DVDs. Again, each area of the body gets a specific workout on its designated day, with plenty of cardio thrown in. The package costs about $130 including shipping and handling and includes a dietary plan, a progress tracker and online support. Like the P90X regimen, you work out for six out of every seven days, but this program throws in a recovery week after the first month. Then you are back to the Insanity. This workout was created by Shaun Thompson, who worked as a dancer and choreographer before developing Hip Hop Abs and then this program. How are these workouts different? There are so many similarities but a few differences. Most people who successfully complete the P90X program credit it for developing a lot of muscle bulk, where Insanity graduates talk about lean muscle development. Both programs build endurance, but your silhouette will be different between the two, based on the muscle bulk that the P90X workout creates. The P90X workouts depend on some exercise equipment, which you may or may not already own. The Insanity workouts are designed to be equipment free. Depending on your circumstances, that may be a consideration. Whenever shopping for exercise gear, consider buying used equipment from people who started out with great intentions but lost their enthusiasm before the equipment lost its shine. A small difference between the two programs is their guarantee. The P90X program promises results in 90 days and offers a 90-day money back guarantee. The Insanity program promises results in 60 days but only offers a 30-day money back guarantee. Seems a bit odd, but those are the facts. The final choice is yours. Both programs have devoted followers, inspiring web sites and plenty of hype. What really matters is your determination to stick with the program though completion. Neither one will do much for you while it’s sitting on the shelf. It is widely recognized that exercise is more fun with a workout buddy. If you don’t have a friend that willing to go through this with you, go to WannaBuddy.com and find yourself a local workout buddy. What do you think? Click on the Comment link and let us know! High Intensity Interval Training (called HIIT by its fans) is all about delivering maximum muscle impact in minimum time. While many exercise routines take 60-90 minutes to complete, a typical HIIT workout can be done in less than half an hour. The strategy is to fully deplete the muscles of their oxygen through high-intensity exercise. This forces the body to burn fat in an anaerobic (without oxygen) energy cycle. Usually between six and ten repetitions of intense exercise make up a training session, with the entire sequence completed within twenty minutes. A classic HIIT regimen consists of a stretch and warm-up period and then brief, maximum intensity exercises for 20-30 seconds followed by medium intensity exercises of the same duration. After 6-10 cycles of maximum/medium exercise bursts is a cool down exercise. The entire routine shouldn’t take more than 20 minutes. The HIIT plan has a number of benefits. The short time investment of this routine can be very attractive to over-scheduled people. The high intensity workout can build muscle mass quickly, especially when compared to hour-long cardio or strength-building routines. During the exercise period, fat is burned directly, leading to a leaner physique in short order. Also, your metabolism continues to operate at a higher level for 24 hours after the exercise, further encouraging weight loss. Interval training is very popular with athletes because medical studies have shown a direct improvement in their performance after using the HIIT approach. An athlete performing at a high level can rarely increase their training time commitment further. Using the HIIT program allows them to continue to improve their endurance and start-stop exertion capacity. For the rest of us, HIIT workouts can be a quick and rewarding way to get into better shape while we shed some body fat. Of course, this type of strenuous exercise should not be undertaken without the advice of your physician. Once you get the green light, a half hour a day can return some quick dividends! Have you tried the HIIT workout? Hit (ouch, couldn’t resist) the Comment button and let us know your experience. Out of the hundreds (thousands?) of diets that compete for our attention, one has been selected by an august board of experts as the very best. Ironically, it was not formulated as a weight loss plan. Instead, it was created by the National Institutes of Health as a way to control high blood pressure. But guess what? It is great for losing weight! This wonder diet is called DASH. That stands for Dietary Approaches to Stop Hypertension. Created to control high blood pressure (hypertension), this eating plan limits red meat and sodium and features fruits and vegetables. It has received support from many prestigious health-related organizations, but a recent article in US News and World Report really gave the DASH diet its first real fame. Looking at the recommended DASH eating plan, you can see right away that sodium (primarily delivered as salt) is drastically reduced. This alone can lower your blood pressure over just a few weeks. Additionally, red meat is restricted, which will help with your cholesterol. The diet is said to also help with osteoporosis, heart disease, diabetes, cancer and stroke, too. Oh, and by the way, you can lose 10-15 pounds over the course of a few months. The meal guidelines are broken up into six categories. 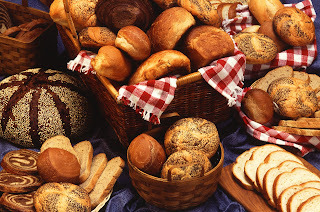 Whole grains, like whole wheat bread, oatmeal and some cereals, contribute 6-8 servings a day. Vegetables are 4-5 servings a day and fruits are another 4-5 servings, so this is a real change for the fast-food fans among us. Dairy (low-fat milk, cheese, yogurt) weigh in at 2-3 servings a day for your calcium, vitamin D and protein. That’s important because your lean meat (and they mean LEAN) is 6 or fewer servings a day. Since a serving of lean meat is one ounce of skinless chicken or one egg, for example, so that’s not a lot of meat. Total meat intake comes out to about six ounces per day. The diet also recommends 4-5 servings of nuts or seeds per week. Sweets (one tablespoon of sugar or a cup of lemonade) get only 5 appearances a week. For the over-21 crowd, the diet allows two drinks a day for men and one drink a day for women. This diet will dramatically improve your overall health. Medical studies have shown the DASH diet to have positive impacts on weight, body mass index (BMI), blood pressure and cholesterol over a period of years. There are very few diets with that kind of solid medical proof backing them up. The personal cost is low, too. The meal plan is broad, so your individual tastes and preferences can be preserved, and it’s easy to put together interesting and varied meals on a budget. The biggest casualty of this diet is red meat. For some people, that can be a difficult sacrifice, but on a long-term basis your heart and arteries will thank you. Could this be the diet for you? That may come down to how many vegetables and fruit can you eat in a day. Most people agree that dieting alone can be tough. Find a friend to diet with you. Having a diet buddy for sharing encouragement and support can make all the difference. Don’t have a friend who’s ready to join you and your diet? Check out WannaBuddy.com and find a diet buddy near you. 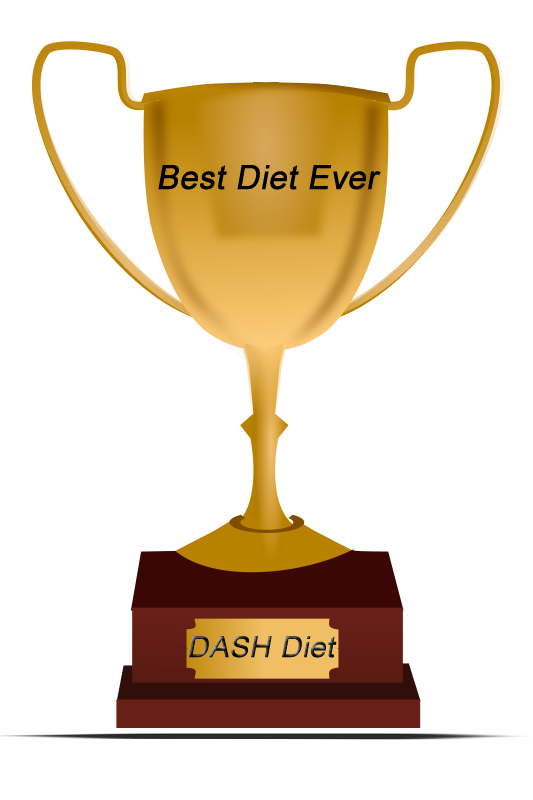 Have you tried the DASH diet? How did it work? Let us know by clicking on the Comment button. You don’t have to be a comic book fan to know about Chris Hemsworth and the dramatic transformation that he went through between his appearance in “Home And Away” and “Thor”. Chris changed his physique from slender and lithe to hulking and bulging. Many fitness fans are asking how he accomplished this feat. When Chris was chosen to star in the Marvel comic-inspired movie “Thor”, he needed preparation beyond memorizing his lines. His comic book inspiration was 500 pounds of muscle and grit. Chris needed to bulk up. Working with personal training and movie extra Michael Knight, Chris began an intense exercise and diet regimen to build and define his major muscle groups. Over the course of six months, the program delivered results that will be showcased in the movie. One key element of Chris’ workout was a focus on maximum weight with minimum repetitions. This tears down muscle fibers quickly and rebuilds them, larger, even quicker. These intense and short (less than an hour) workout sessions were relentless. Every two weeks the weights got heavier. Each lift was right at the edge of his capacity. Nothing was spared in the name of become a comic book hero. Once the muscle bulk was built, trainer Knight shifted his focus to trimming body fat. This was done through a diet of very lean protein, fruits and vegetables (and few carbs). Chris was also drinking gallons of water each day. His workouts switched to circuit training and cardio to maintain and define his physique. The result was an actor with a hero’s body. Now if the movie can only deliver as well as Michael Knight’s training. So what do you think? Could you train like an action hero? Click on the Comment button and let us know! Could it be? A diet that targets that spare tire around my middle? The Flat Belly Diet promises that very thing, possibly the Holy Grail of dieting. The new book Flat Belly Diet! describes a diet that attacks the midriff while it promotes healthy eating habits. The book promises that you will lose as much as fifteen pounds in a month, much of it from your midsection. Written by Prevention magazine’s editor-in-chief, Liz Vaccariello and the former director of nutrition at Prevention, Cynthia Sass, the Flat Belly Diet is a starvation-free approach to reducing the bulge around the belly and improving overall eating habits. This diet focuses on including monounsaturated fat in every meal and avoiding processed foods, especially sugar. Monounsaturated fats are found in nuts and seeds, olives and avocados, and (my favorite) dark chocolate. Each of the four daily meals must have some of these foods present. This is the key, they say, to losing your belly fat. The 28 day diet has an introductory period that they call the Jump Start. During the Jump Start you must drink two liters of a special water concoction, made up of citrus and cucumber with some herbs and spices. This is to get your body prepared for the diet and reduce bloating and constipation. During the Jump Start, you can eat up to 1,400 calories a day, while sharply reducing your intake of salt, sugar, fat, processed carbohydrates and carbonated beverages. Once you have completed the Jump Start, your 28 day diet consists of four, 400 calorie meals each day. The book contains meals plans and recipes and recommends swapping foods in and out of the plan to meet your individual tastes, allergies and preferences. The menus are quite specific regarding portion size, so your caloric intake is easy to track and control. The book also contains a chapter on exercise, including specific workouts that target your abdomen. Does the diet work? The web is littered with people who swear by the Flat Belly Diet. Losing fifteen pounds in a month is pretty aggressive, though. That pencils out to burning 1,500 more calories each day than you eat, unless you consider water weight to be true weight loss. Most people will not be able to reach that level of calorie deficit, so your results may vary. On the other hand, many of the concepts presented in the Flat belly Diet! book are positive, healthy changes to your lifestyle. You can lose weight and improve your nutrition with this diet without starvation or malnutrition. The fat will come from all over your body, not just your belly, but what’s wrong with that? This could be the diet for you. Most people agree that dieting alone is very hard. Get a diet buddy and share encouragement and support. If you don’t have a friend who wants to diet with you right now, go over to WannaBuddy.com and find a diet buddy near you. Have you tried the Flat Belly Diet? How did it work out? Click on the Comment button and let us know. After years of treating carbohydrates like toxic waste, a new diet comes along that actually promotes eating carbs as a way to lose weight. The editors of Health Magazine have published a book that seems to contradict years of diet doctrine: eating carbohydrates can lead to weight loss. Could this be the diet of your dreams? Carbohydrates are your body’s primary source of energy, so it makes sense that some carbs are necessary, and possibly good for you. The Carb Lovers diet brings the focus to what they call “resistant starch” which is a kind of carb that is slow to digest, yet makes you feel full. This is similar to the common practice of drinking a glass of water or eating a leafy salad before the meal. They are all strategies that let you feel satisfied before you eat too many calories. With this diet you have access to all of the normal food groups. There are no broad prohibitions, just recommendations on preferring unprocessed foods over highly processed foods. The meal plan has featured carbs (like bananas, oatmeal and brown rice) for each meal. This “carb star” accounts for about one fourth of each meal with the balance coming from protein, fruits and vegetables. The plan also stresses the importance of the daily multivitamin. One element of the Carb Lovers diet that should be very popular is the weekly splurge. Once a week, you are allowed to treat yourself. That means you can have chocolate, beer or wine, desert, or other bit of decadence. That can really take the pressure off, knowing that your heart’s desire is waiting for you at the end of the week. This is not a free-for-all diet, though. There are rules, but only a few. You must include at least one “resistant starch” in every meal. Given the broad list of qualifying carbs, that is not too restrictive. You must also limit portion sizes. This is not an “eat all you want” plan. Each meal should also include a lean protein plus fresh fruits and vegetables. They recommend that you stock up on the good (resistant starch) carbs, so that you never run out and substitute less effective carbs, and that you don’t try to eliminate that food that you love, whatever it is. The plan allows for a splurge every week, so there’s no reason to dump the diet just because you can’t live without pecan pie, for example. So, although this diet will send low-carb disciples running into the woods screaming, you can lose weight with this diet. The authors claim that losing 8 pounds a month is a reasonable goal. If you can’t start your day without your toast, or life isn’t worth living if it doesn’t include chocolate, this could be the diet for you. Don’t try to go it alone, get yourself a diet buddy. If you don’t have a friend who’s ready to join you, check out WannaBuddy.com and find someone near you who is looking for a diet buddy, too. Master Cleanse -- Cleaning Out For Better Health? The Master Cleanse diet, sometimes called the lemonade diet, is an aggressive, immediate results weight loss regimen. Purported to eliminate toxins in the bowels, the Master Cleanse diet limits your food intake to multiple glasses of a lemonade mixture and twice-daily laxatives. Practitioners love it, nutritionists hate it. Is the Master Cleanse diet right for you? Take a glass of cold water, add a squeeze of lemon, a dash of cayenne pepper and a dollop of maple syrup. Bam! You have the basic ingredient for the Master Cleanse diet. This will be your sole source of sustenance for ten days. You can readily believe that you can lose weight with this program. Master Cleanse purists suggest a three step diet program. Step one, called “ease in” prepares your body for the coming deprivation. For the first day of step one, you eat only fresh fruits and vegetables (with an emphasis on the veggies). No processed foods, no meat, no dairy. Day two transitions you to a liquid diet, limiting you to juices, broths and smoothies. For day three you only get orange juice. That completes step one. Step two is the primary Master Cleanse event. During these ten days you drink at least six glasses of the water + lemon + pepper + maple syrup concoction. You also take laxatives or drink a salt water solution so that you empty your bowels every day. During this phase, you should be losing weight rapidly. Step three is the reverse of step one, so that your body can readjust to eating food again. First you have orange juice, then juices, broths and smoothies, then fresh fruits and vegetables. Congratulations, you have completed the Master Cleanse protocol! Many people swear by this diet. Clearly, your daily calorie intake is extremely low, so your body must burn other sources of energy to stay alive. Unfortunately, most doctors and nutritionists say that you will lose primarily water weight and muscle. Further, this diet supplies essentially none of the proteins, minerals, vitamins and other nutrients that a body needs, so prolonged use of this diet can lead to serious medical issues. Proponents of the Master Cleanse diet suggest that out colons are storehouses of toxins, some of which have accumulated for many years. They say that this cleansing eliminates these toxins, leading to better health more energy and vitality. Unfortunately there is no scientific basis for these claims. The bowels are in a constant state of movement, with nothing sticking to the walls for healthy individuals. Plainly said, there are no built-up toxins to flush. The Master Cleanse diet will certainly result in weight loss. The body reacts to this near starvation diet in an attempt to prolong life. That means that once regular eating resumes, the body quickly transforms any available calories into fat so that it can survive future periods of starvation. That means that many Master Cleanse graduates face rebound weight gain that erases their losses with interest. So is the Master Cleanse diet right for you? If you absolutely must lose a lot of weight quickly, this might be the answer. As a longer term path to better health, there are many better diets to choose. Everyone agrees that dieting alone is very difficult. Get a diet buddy to share encouragement and support. 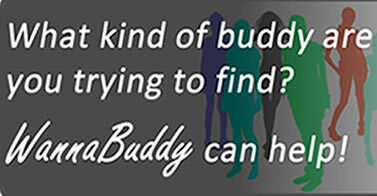 If you don't have a diet buddy, go to WannaBuddy.com to find a local diet buddy for you. After decades of preaching the food pyramid, the U.S. Department of Agriculture has a new recommendation for our diet and a brand new graphic to go with it. 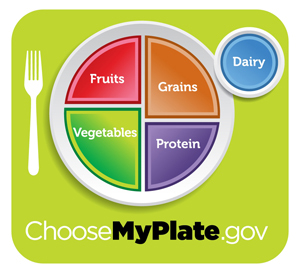 Calling the new program ChooseMyPlate.gov, the USDA has stepped away from the old focus on grains and shifted to promoting fruits and vegetables. Instead of proudly supporting the food pyramid, grains are relegated to a golden quarter of the plate metaphor for our diet. An equal slice is for protein, a larger slice for vegetables and a smaller slice for fruits completes the plate. A glass beside the plate gives a nod to dairy. Oddly, a fork is depicted without a spoon or knife, so I guess that soup is out of the question. The main thrust of this new initiative is reducing our overall consumption. The promotional material advocates “Enjoy your food, but eat less” and “Avoid oversized portions” and recommends drinking water instead of sugary drinks. Further, they recommend switching to fat-free or low-fat milk for the dairy course. 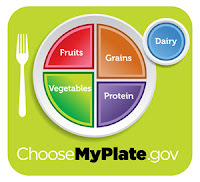 The new ChooseMyPlate.gov web site puts a lot of emphasis on portion sizing. This extends to pictures of fruit that equate to one portion. There must be controversy somewhere over the portion size for a banana? The site has helpful tips, such as stocking canned and dried fruit in addition to fresh fruit so that you never run out of fruit. Now that’s proactive government in action! They also recommend that we “vary our veggies.” One can only assume that this will avoid the dreaded vegetable fatigue. On the less pedantic side, the web site does offer some good tips on food safety, with advice on cleanliness, avoiding cross contamination, and cooking and storage temperatures for food. These tips can help to avoid those mysterious flu symptoms that are often caused by poor food handling habits. All in all, this new program is a step in the right direction. Stressing fruits and vegetables over breads and pastas can help to stem the tide of obesity in America. And we can look forward to bright graphics of dancing plates in our elementary schools in the coming school year. Said to have been invented by accident, Zumba combines dancing with exercise in a high-energy fusion. Offered at nearly all health clubs, Zumba has now branched out into a variety of specializations and even video games. Could Zumba be the answer to your fitness needs? Alberto Perez (called “Beto” by his friends) created Zumba in the 1990s when he neglected to bring his soundtrack tapes to the aerobics class that he taught. In desperation or inspiration, he substituted one of his personal cassette tapes, containing salsa and merengue music. Beto called his new exercise routine Zumba, a Columbian slang word meaning buzz like a bee or to move fast. His improvised class became an overnight sensation and rest, as they say, is history. Zumba is a workout disguised as a dance party. Instead of counting repetitions, the musical stanzas delineate changes in motion. The original Zumba classes used a broad range of latin music, including salsa, meringue, cumbia, reggaeton, flamenco, tango and samba. This energetic music makes the strenuous dance moves fun and masks the underlying fitness aspects. Becoming fit can be fun, and Zumba delivers on that premise. Since inception, Zumba has grown into an international experience. Zumba is itself a registered trademark, with instructor certification programs, certified classrooms, DVDs and video game products for every popular game platform. The Basic Zumba class have branched into Zumba Gold for more mature enthusiasts, Zumba Toning for body sculpting, Aqua Zumba for dancing in the pool, Zumbatomic for children and Zumba in the Circuit for fans of circuit training. Regardless of the type of Zumba class that you choose, the cardiovascular benefits are substantial. Many practitioners use Zumba as part of a weight management program. Given the dance format, there isn’t any particular uniform or equipment required, just clothing and shoes appropriate for dancing and pivoting in place. People who enjoy exercise with others can easily find a class at their nearest gym or YMCA, while those who prefer to work out on their own schedule can use one of many available DVDs or video games. Regardless of the format, most people find that exercise is more fun with a buddy. Don’t have a friend who wants to try Zumba with you? Just go to WannaBuddy.com and find a Zumba buddy near you. The Dukan Diet -- Fit for a Princess? French nutritionist and doctor Pierre Dukan released a book on weight loss in 2000. Since then, his diet has swept France, and now the world. Similar in many ways to the Atkins diet, the Dukan diet reached new levels of popularity when it was rumored that Catherine Middleton used the Dukan diet before her Royal Wedding. The Dukan diet has four phases: attack, cruise, consolidation and stabilization. Each phase has specific rules and delivers specific benefits to the dieter. In the attack phase, you are allowed to eat as much as you want, as long as you are eating specifically approved, protein-rich foods. You can eat fish, chicken, eggs, nonfat dairy, and soy. Unlike the Atkins diet, higher fat proteins, like pork, beef and lamb are not permitted. Additionally, you eat one and a half tablespoons of oat bran and drink 1.5 liters of water every day. Fruits and vegetables are prohibited. Dieters remain in this phase for up to ten days. In the second phase, called the cruise phase, certain vegetables are introduced on an every other day basis. Only vegetables that do not contain starch are permitted, such as cucumber, celery, lettuce, spinach and tomatoes. Starchy vegetables like peas, carrots, corn and potatoes are forbidden. As in the attack phase, you can eat as much of the approved foods as you want, along with two tablespoons of oat bran and lots of water. This is the key phase for weight loss, so you remain in this phase until your target weight has been reached. Once you’re at your goal weight, you enter the consolidation phase. 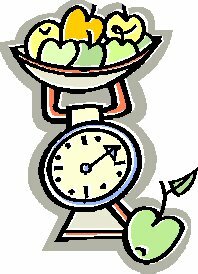 You are now transitioning into maintenance mode, trying to stay at the target weight and not gain or lose weight. This phase adds one serving of fruit and two slices of bread (whole grain only) to your meal plan, along with one or two servings of starchy vegetables each week. You are permitted one “extra” serving of carbohydrates each week, so rice and pasta can re-enter your life. The diet adds the concept of a “celebration” meal, where all restrictions are removed. Dieters begin with one celebration meal per week, growing to two per week after a few weeks. Balancing the celebration meal, you chose one day each week for a protein-only diet. The final phase, called stabilization, is part of the rest of your life. In the stabilization phase, you have almost no dietary restrictions for six days each week. On the seventh day, you eat only protein and three tablespoons of oat bran. Dr. Dukan also recommends that you walk for at least 20 minutes a day and take the stairs instead of elevators or escalators. The Dukan diet has many proponents. With the significant restrictions in the attack and cruise phases, people lose a lot of weight quickly. These restrictions can also lead to dry mouth, bad breath and constipation. Extended use of these phases can cause a loss of muscle mass, high cholesterol, gall stones and kidney problems. Nutritionists caution that eliminating fruits and vegetables from your diet can have negative impacts that can’t be offset with a multivitamin. Fans of the Dukan diet point to the rapid weight loss, clear dietary rules, and a system for life-long maintenance as the key reasons they tried it. Most dieters also agree that having a diet buddy for encouragement and support is also key to their success. If you don’t have a friend ready to diet with you, go to WannaBuddy.com and find a local diet buddy. Maybe the Dukan diet is right for you.